Home Politics I DEDICATE MY VICTORY TO GOD AND ANIOMA PEOPLE - NED NWOKO. 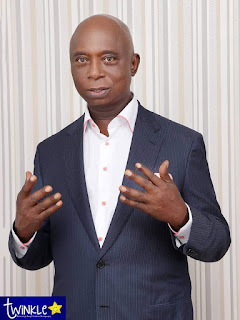 I DEDICATE MY VICTORY TO GOD AND ANIOMA PEOPLE - NED NWOKO. Hon. Prince Ned Nwoko on behalf of his teeming supporters in Anioma land and far afield, is elated to accept the judgment of the Federal High Court in Abuja which sacked Senator Peter Nwaoboshi as the candidate of PDP in the Delta North senatorial election and affirmed him as the authentic winner of the PDP primary election of October 2nd 2018. The widespread jubilation that greeted the landmark judgment among our people across political, social and religious cleavages remained overwhelming and humbling. Special gratitude to all Delta North people and supporters of good will. We dedicate this resounding victory to God and Anioma people. According to the Star Prince of Anioma land and foremost philanthropist, "the victory is not just for me but for Anioma Nation and everyone committed to the task of deepening democratic tenets and instituting good governance in the polity. I am glad that once again, the judiciary has proven to be the hope of the common man. Anioma people indeed won, because they chose me and stood by me to reclaim their mandate". Waxing confident, he noted: "We are intelligent stock and people of honour and dignity. We deserve the best, far removed from mediocrity, ridicule and infamy. We must at this time remain resolute to the utmost goal of ensuring that credible leadership is enthroned for our people." The Star Prince further assured. "Let me make a solemn pledge. I am poised to set a trail blazing stewardship in excellent representation of Anioma people at the 9th Senate. On my honour, Anioma would rise to unprecedented glory."